An ideal way to serve your favorite millet or treat sticks. 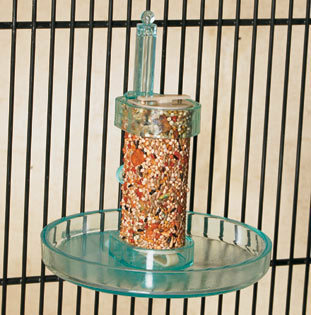 With a 5" diameter tray at the bottom, your bird will be able to enjoy more of his treat instead of watching it fall to the bottom. Can hold any treat stick 4" or longer. Fits easily inside of any cage.